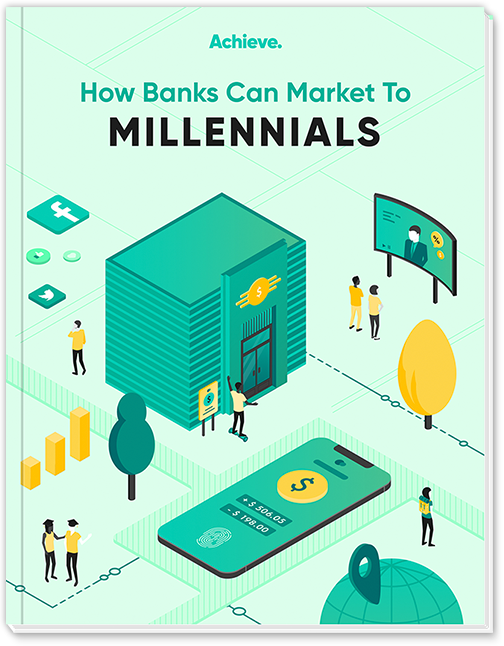 If there’s one market financial institutions are ferociously trying to tap into, it’s Millennials. These young adults are characterized as being extremely tech savvy, value-driven, and unfortunately, fickle when it comes to financial institution loyalty. In fact, a FICO survey from last year revealed that Millennials are between 2 and 3 times more likely than other age groups to close all of their accounts in order to switch to another financial institution. If there’s one market financial institutions are ferociously trying to tap into, it’s Millennials. These young adults are characterized as being extremely tech savvy, value-driven, and unfortunately, fickle when it comes to financial institution loyalty. There’s no getting around the fact that financial institutions have a huge opportunity when it comes to social media marketing. This guide will give your financial institution the tactics and tools it needs to create a winning social media strategy. For community and regional banks and credit unions, offering personalized service is a huge differentiator for winning over customers from large national chains. But in today’s world, personalization doesn’t just apply in face to face situations. It’s also becoming an increasing necessity as part of your online presence. This guide will show you how to better leverage your site and the changes needed to start driving leads.